What does an onion have in common with a tulip? Is a pine cone a fruit? What’s the advantage of the London plane tree’s peeling bark? What’s the biggest animal a carnivorous plant can digest? 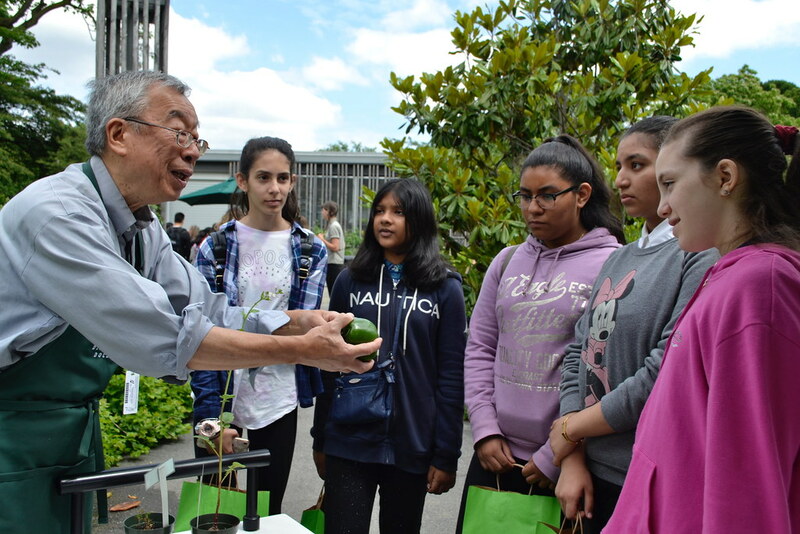 Middle school students from around the city learned the answers to these and many other botanical questions during a recent series of STEM Days Out events at Brooklyn Botanic Garden. The series, sponsored by Con Edison, enabled students to engage in hands-on science lessons by sending school groups to cultural institutions around the city. During last week’s STEM Day Out, students visited Discovery Stations staffed by BBG docents. At one, they studied onion bulbs and tulip bulbs to look for botanical similarities like papery shells, and dry, stringy roots. They also learned that pine cones, though they carry seeds, are not fruits like those produced by flowering plants. Elsewhere in the Garden, students learned to identify one of the most common NYC street trees—the London plane tree—by its distinctive exfoliating bark, which peels off to expose inner layers of the trunk to sunlight, allowing for photosynthesis to occur after leaf drop. 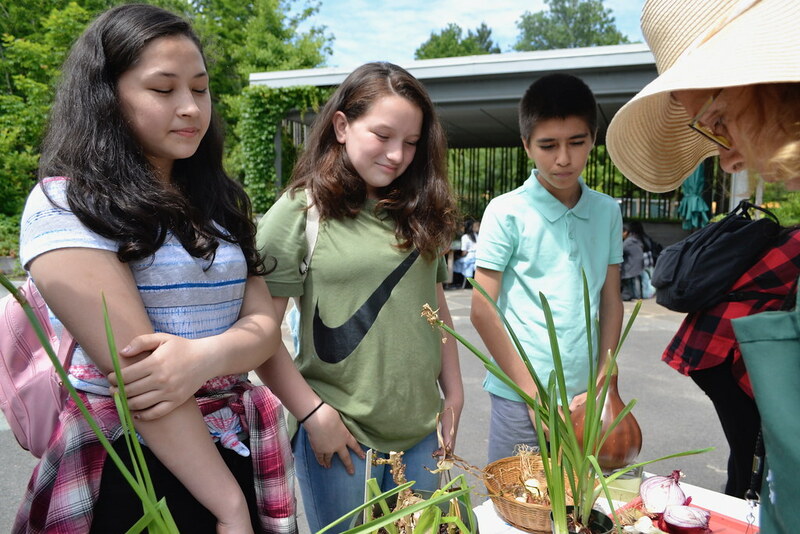 At the carnivorous plant station, students observed how Venus fly traps function and learned that pitcher plants have been known to capture frogs and occasionally even rodents and birds. June’s STEM Day Out was the final outing of the series; altogether, about 600 students participated on Wednesday mornings throughout the year. 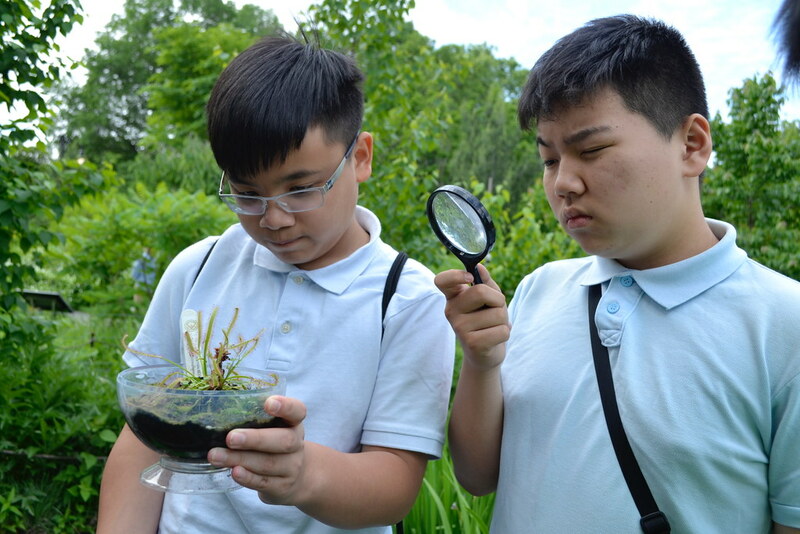 Students study carnivorous plants as part of Con Edison's STEM Days Out at Brooklyn Botanic Garden. Photo by Blanca Begert. 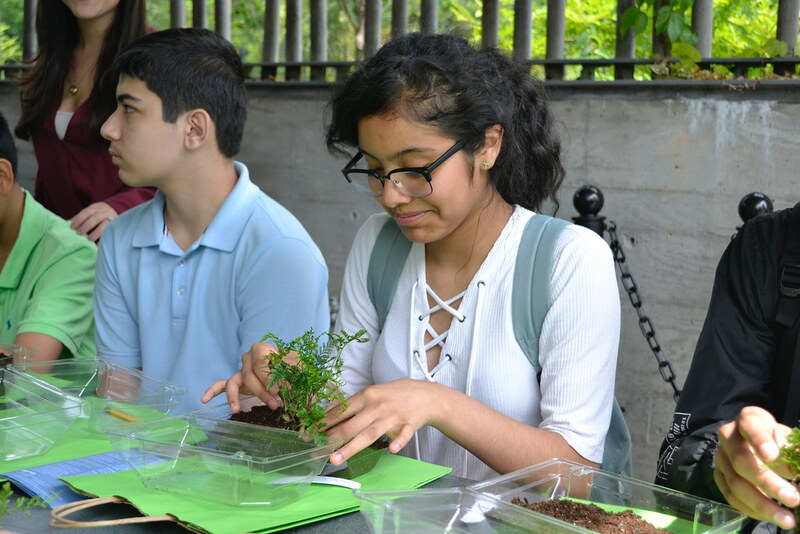 Students potting up ferns as part of Con Edison's STEM Days Out at Brooklyn Botanic Garden. Photo by Blanca Begert. Students learning about plants as part of Con Edison's STEM Days Out at Brooklyn Botanic Garden. Photo by Blanca Begert.